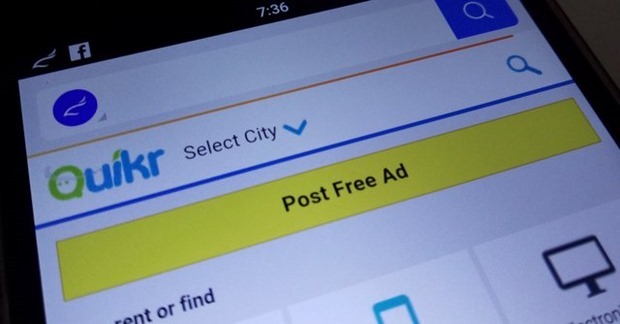 Economic Times (ET) has reported that Quikr is in talks with Housing.com for a possible acquisition. As per three sources mentioned by ET, the deal can be in the range of Rs 1100 crore, which depends on the cash and stock split. After their last funding round in November, Housing.com was valued at $250 million or Rs 1580 crore at the time of writing. Reportedly, there will be a Board meeting of all stake holders in Housing.com, where a decision will be taken on the resignation of Rahul Yadav. The decision to allow acquisition by Quikr would be made only after the meeting. In his short stint as the co-founder & CEO of Housing.com, Rahul Yadav has already resigned twice, ‘donated’ his shares to all employees, and was part of an ugly spat with other investors on the issue of employee poaching. Here is what happened when he decided to do an AMA session on Reddit last year. SoftBank, which is the majority stake holder in Housing.com, having invested close to $70 million, has not yet confirmed the news. Quikr has also maintained a silence. When ET reporters sent a questionnaire to Rahul Yadav, he replied: “Joke of the year”. Officially, Rahul is the CEO of the company but ‘rumored’ to have quit this week. That rumor is also unverified as of now. Will This Acquisition Help Quikr? If we analyze Quikr’s real estate aspirations, then this would be perfect deal for them. In the month of April, Quikr announced that they are soon going to launch a real estate website: QuikrHomes.com, and also informed that 500 employees have already been hired for the same. Another interesting fact came to light: 50% of all transactions happening on Quikr is real-estate related, and there are around 2 lakh real estate specific transactions happening every month on the portal. As per their CEO Pranav Chulet, Quikr boasts of 20 lakh active real estate agents. In case they are successful in acquiring Housing.com, then their new real estate venture will already have a solid platform to start with. They will not be required to look up to other modes of advertisement and marketing. In the month of March, Quikr made their entry into the billion dollar Indian startup list, after they received a funding of $150 million from Tiger Global and eBay. They already enable 15 lakh transactions every month, amounting to Rs 30,000 crore of ecommerce. Lately, Quikr has introduced several innovative features into their online classified portal, such as ‘Buy Through Quikr’ button; a dedicated job portal; car inspection service and instant chat and free home delivery. Acquisition of Housing.com would be the perfect icing on the cake for Quikr. We will update you as more information comes in regarding this market buzz.